A decent pub with 10 casks available and plenty of outdoor seating. We didn't eat, but there was an extensive food menu too. Well worth a visit if in Liverpool. 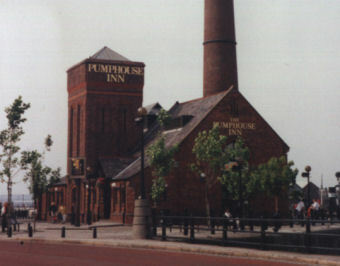 The Pump House is a large Greene King pub at the entrance to Albert Dock in the old pump house building! We visited here on a Friday evening in late September with the other bars and drinking options in Albert Dock not looking up to much. On arrival it was a tad soulless as it felt like a new build pub even though its not, but within 20 minutes the pub filled up and it took on a good atmosphere. Impressed by the 10 hand pumps with 4 ales from Liverpool Organic Brewery. I had 2 of their offerings, Best Bitter @ 4.2% & Shipwreck IPA @ 6.5%, the Shipwreck is a very good ale. Really surprised how quiet the Albert Dock area was as I thought it was banging at weekends, but equally as nice to find a pub with a good range of ales on for a quiet drink. Worth a visit in my opinion. Was in here on Saturday morning. The ale range was much improved this time, with more than just the Greene King beers. Although the quality was lacking. 6 ales were on - Robinsons Trooper & Dizzy Blonde, Liverpool Organic Liverpool Stout & Bier Head & Greene King IPA & Trial Brew 06 Chilli Ale. I went for the stout. Maybe it was because it was the first one out. But it wasn't the best. The place is popular with tourists and the inevitable stag and hen parties. 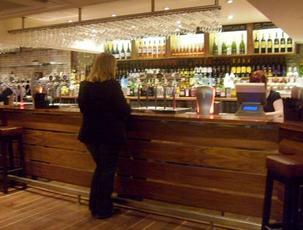 There are plenty of different drinking areas, on multiple levels. Many enjoy nice views of the docks. Outdoor tables are popular in the summer. 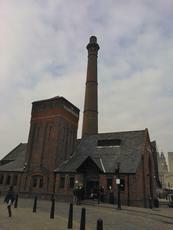 It was a bit chilly after a visit to The Slavery Museum, so we ventured into the Pump House. It was quite a surprise after the rather critical comments. A very hoppy Liverpool Organic Bitter followed by a pint of IPA went down a treat despite it only being 12 o'clock, the pace was filling up with people asking for lunch. So somebody must be doing something right. Some slightly harsh comments below me thinks... I visited as a tourist visiting the Albert dock, and was surprised by how busy it was, and seemed to have a lot of scousers as well as tourists. Staff were friendly and atmosphere good. Beers on offer were Old Golden hen, Gangly ghoul, Pumphouse Landlords choice and Thwaites Lancaster Bomber. Yeah, it's a Greene King chain, and i do agree that the beer was (slightly) to cold, but okay overall... Worth a visit for the great location and wonderful building.